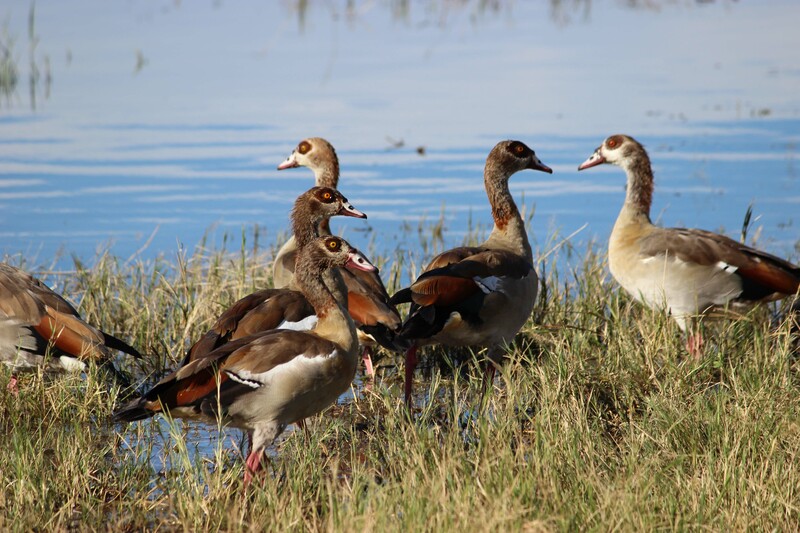 A day trip from Victoria Falls to Chobe National Park is a great way to see a diverse array of birds and wildlife. 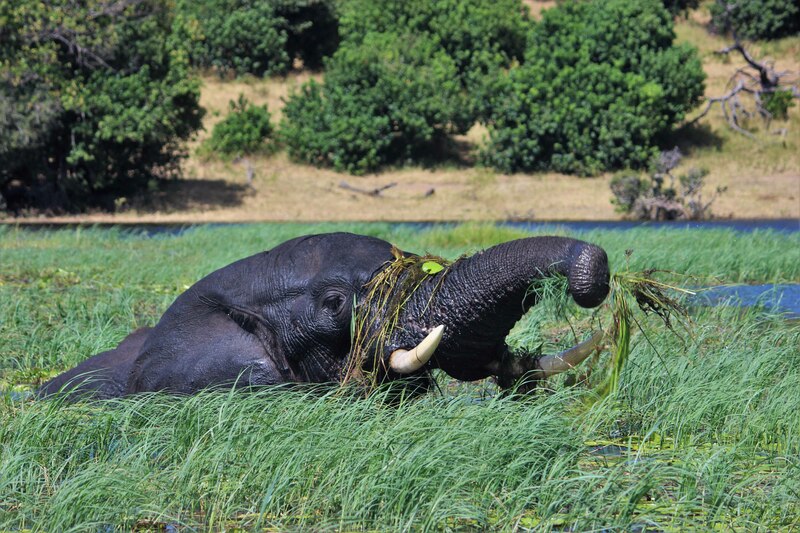 Chobe is well known for its elephant population, currently estimated to exceed 120,000. The dry, winter season, May through to September/October, is the best time for game viewing as animals venture down to the river to drink and the vegetation is much thinner. Keen birders may prefer the summer months (also known as the green season due to the flourishing fauna) as migrant species abound. Summer is also a great time for babies – in all shapes and sizes, from nursery herds of impala to cheeky baboons. 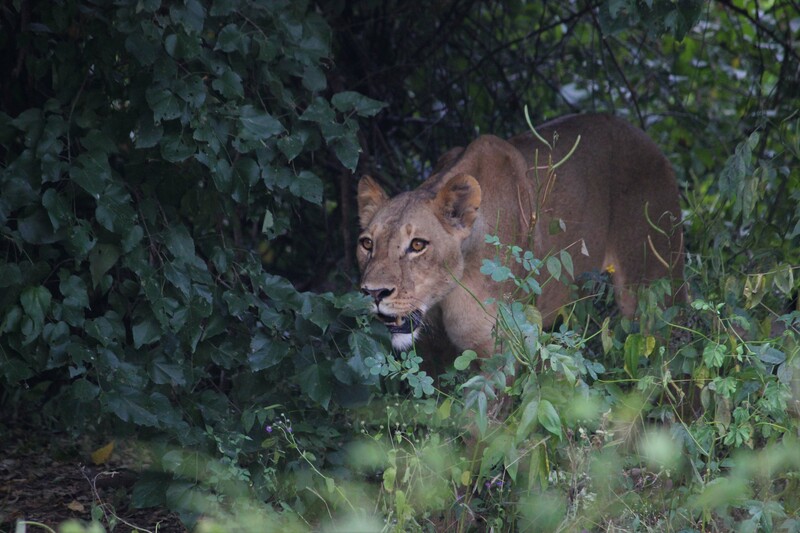 Although the thickness of the vegetation makes game viewing a bit more challenging, the summer season guarantees you a much more relaxed and intimate journey through Chobe. The whole day took about 11 hours, from our pick up at 7am to our return at 6pm. The drive to the Kazungula Border takes around an hour, but be sure to keep your eyes peeled for wandering wildlife as the road cuts through National Park and wildlife concessions. 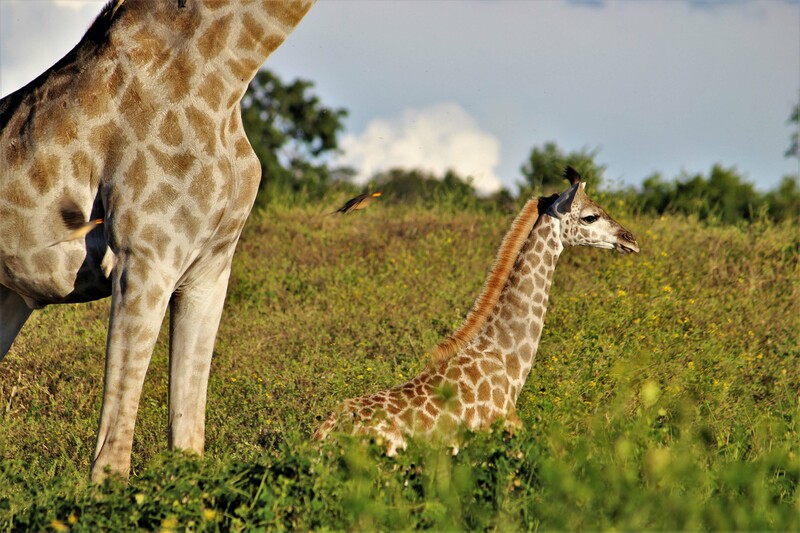 We were lucky enough to see a family of elephants and a tower of giraffes. At the border, our guide took us through the emigration & immigration procedures and we continued into Botswana and on to the Chobe River foreshore where we hopped on a flat-bottomed boat to explore the deeper channels, reed islands and river banks. 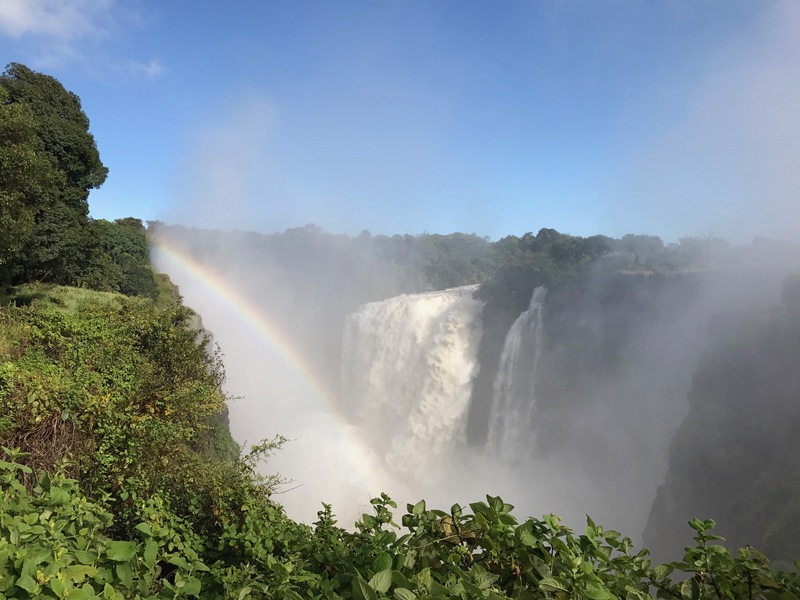 The Chobe River forms the northern most border of Chobe National Park and is a complex maze of channels and marshes that fill as the rains from the Angolan highlands make their way south down the mighty Zambezi which swells and so pushes water into the Chobe. Interestingly when the Zambezi drops, the water flows back out of the Chobe and into the Zambezi, making the Chobe a river that flows both ways. I must admit I was sceptical about how much game I would see from the water (especially in the green season) but I was pleasantly surprised…we saw families of elephants coming to drink and splash in the river, mongooses scurrying around, lounging hippos, kingfishers hovering over the water, sunbathing crocodiles, monitor lizards stalking the banks, fish eagles out flying, kudu grazing the hills and two lionesses post warthog kill! After our eventful journey down the river, we doubled back through the water lilies, to disembark in time for lunch. The afternoon was spent in an open safari vehicle and we all voted to head back to try and find the lionesses for a few more photos. Lucky for us they were lounging in the cool of the trees with their tummy’s full. As we made our way around the park we saw giraffe, elephant, red lechwe and the rare puku (both are aquatic antelope), impala, buffalo, vervet monkeys, waterbuck, baboons, kudu and an abundance of bird life. 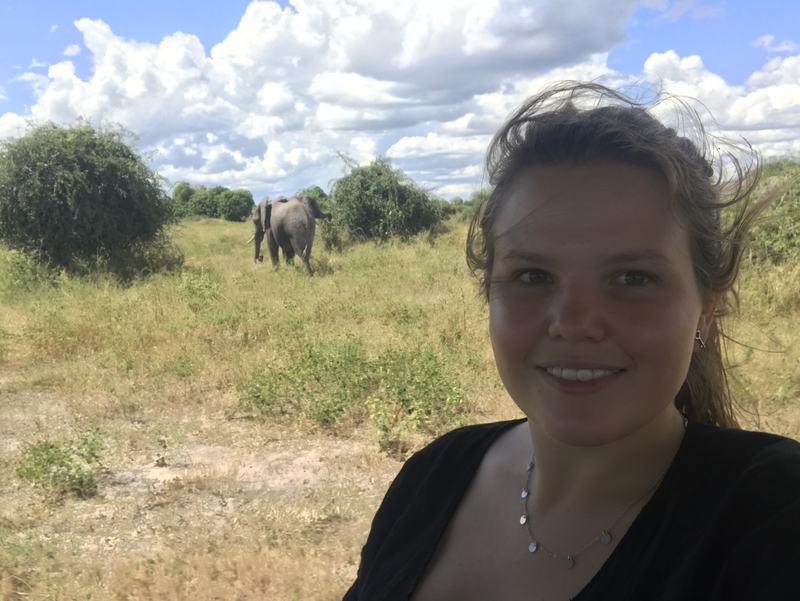 We were completely immersed in the wildlife and very content sitting amongst herds of elephants, who were not fussed by our presence and were happy to let us share their beautiful home. As we made our way back out of the National Park the views across the river were spectacular; stretching all the way to Namibia on the far side of the Chobe River. One of the fun facts we learnt was that the ownership of the many disputed river islands is decided by the deepest channel. In areas, the Namibian islands are so close you could swim the channel in a few minutes – but maybe not – after all we hear the crocodile and hippo border patrol are very effective!